The basic principles of contactless short-distance communications, or NFC technology, were developed as early as 2004. Then the developers managed to combine the interface of the smart card and the reader into one common device. 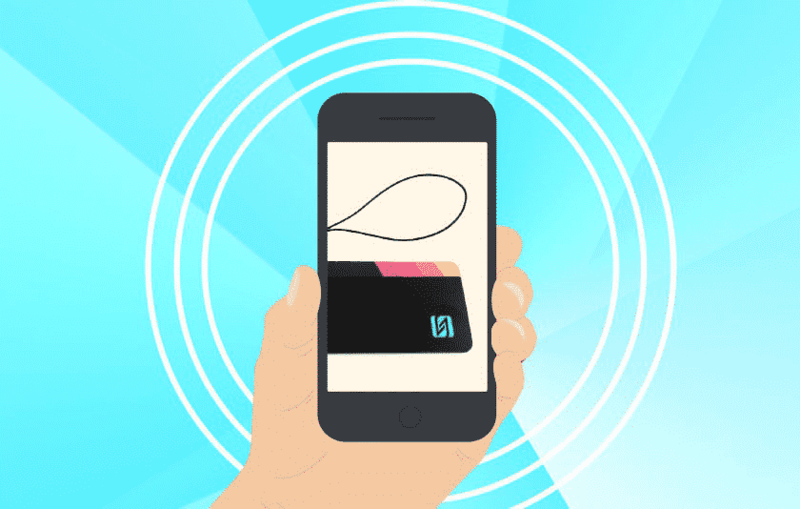 Recently, this payment method has begun to appear on mobile devices. The fundamental difference between NFC and well-known Wi-Fi and Bluetooth wireless standards is in range. Devices can exchange information at a distance of no more than 10 cm from each other. Just 5 years ago, smartphones supporting this technology could be counted on fingers. Hundreds of gadgets equipped with chips for contactless payments are now being produced. One of the first corporations to implement NFC in their devices was Apple. The Apple brand has combined contactless payments with its Apple pay payment system, starting with the sixth version of the iPhone. Unfortunately, only residents of the United States can take advantage of this opportunity without any restrictions. As mentioned above, for the first time the possibility of contactless payment using Apple pay appeared in the model range of iPhone 6 smartphones. To use this technology, you must open the application on the iPhone, which is called Passbook. When you register in the app, information about the plastic card and its photo taken through the gadget's camera are entered. Activating the application allows you to pay for a purchase or service using TouchID and the phone is approaching the payment terminal. After checking the fingerprint, the smartphone will allow you to debit funds from a credit card. Full confidentiality is guaranteed by Apple, as full transaction encryption is performed. The seller sees only the coded data about the operation without the name of the owner and his card number. The corporation itself does not monitor the movement of funds in the accounts of the owners of the phone. 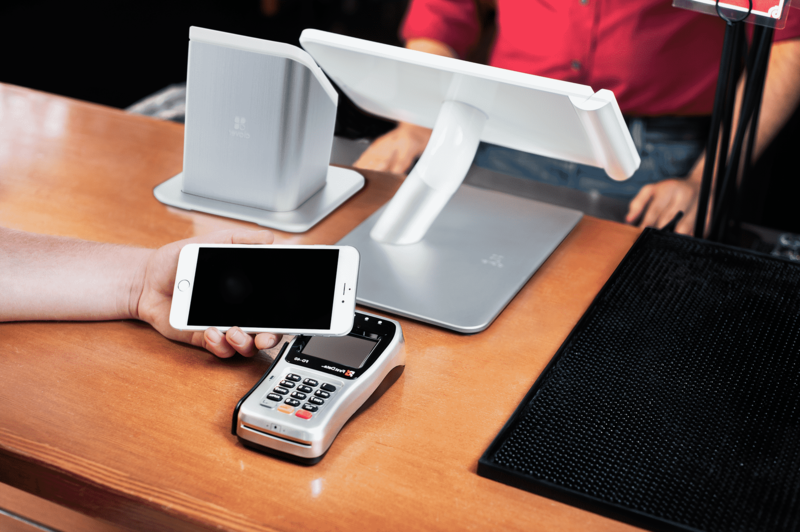 The main obstacle to the growing popularity of NFC and such a way to pay for purchases is a small number of stores and companies that can handle contactless payments. 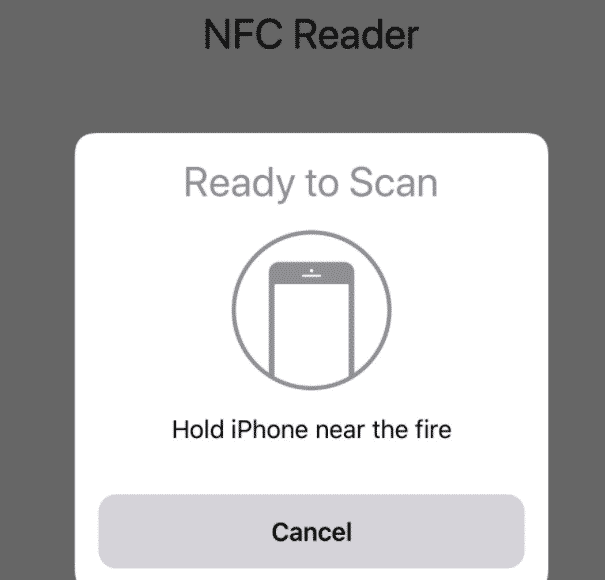 Now the NFC service on the iPhone is used exclusively for payments through the Apple Pay system, as well as to transfer data when updating the smartphone. The second problem is hardware and software failures in the operation of NFC chips embedded in the iPhone. Of course, development engineers are constantly improving the architecture of chips and their firmware, but technology fails for various iPhone modelsUnfortunately, sometimes there are. Why does Apple restrict access to NFC? This technology has excellent prospects for implementation in mobile phones. Given the number of owners of gadgets brand, Apple has a huge commission for making contactless payments to users of Apple Pay. The corporation also dictates its conditions to banks in different countries (in terms of the size of the transaction fee), who want to connect to the system. The correct work of NFC is now provided only in the United States, but active efforts are underway to implement it in Europe and China. Many owners of iPhone smartphones talk about the successful use of contactless payment technology in many countries around the world, provided that a US bank credit card is attached to the gadget. Paying for purchases is a bit more expensive because the bank commission for currency conversion is added to the Apple pay commission. Third-party developers are unable to create their own applications for the iPhone using contactless payment. The chip in the smartphone is only flashed to work with the Apple payment system, and the corporation does not intend to change this situation in the near future. According to its representatives, the creation of third-party applications will threaten the confidentiality of user data. Industry experts agree that the matter is not confidentiality, but that the corporation will lose part of the profit from commissions for user transactions. A special NFC chip is installed in all models of iPhones, starting with the iPhone 6 line. In Russia, only payments through Apple Pay are currently available to users. Nevertheless, with the advent of new mobile applications (Moscow Metro), the gadget can be used as a transport contactless card or terminal to replenish its account. Users can not worry about the support of their iPhone latest technology modifications. The smartphone will perfectly behave with all models of modern terminals. With the upgrade of the iOS operating system, it can be expected that the number of supported functions will increase. Specially include the NFC module in the iPhone is not required. There is no similar item in the settings menu. The chip automatically starts its operation when it gets into the scope of another device. If we talk about others phone models, the experts recommend disabling the module to improve the security of the storage of the funds of the owner Probably, with the advent of new versions of Apple smartphones and OS, this option will also be available to owners of Apple gadgets for them. Is there an NFC chip in my smartphone? In models of iPhones, the module is located next to the camera. This requires the antenna to be as close as possible to the adjacent device. It is enough to buy an Apple smartphone version 6, 6 plus and above to start using contactless payments. In addition to the iPhone, the technology is successfully used in gadgets running the Android OS. There are three ways to find out if a module is available. Carefully inspect the case for the presence of a special badge denoting technology support. Usually in this place is the chip. Check your phone settings. In the Android OS wireless connection section, this technology should be mentioned if it is present in the device. For Android, it is enough to install a special application using nfc to connect contactless payments.